Welcome to Episode 05 of this season’s LIVE cooking show, Cooking with Earth Fare! Every week on Mondays at 4:00pm EST we explore the aisle and shop for a featured ingredient to feature in a Springer Mountain Farms chicken dish! Come enjoy the fun hosts, intriguing Q&A, delicious looking food and chances to win different prizes! Hope to see you on Springer’s Facebook or their Roku! 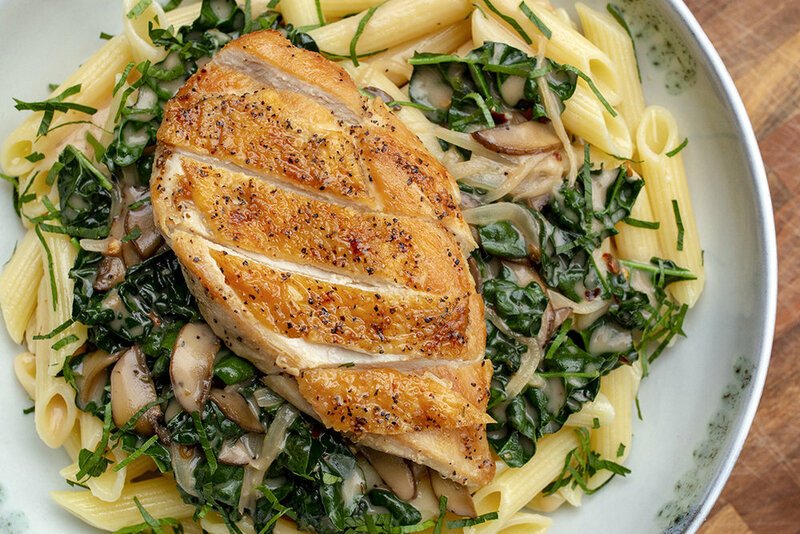 Get the recipe ***HERE*** for this amazing tasting Portobello Mushroom and Chicken Marsala with Penne Pasta!